My role as a local councillor is to help and support local people on their individual issues / challenges; whether it be around housing, health, education or accessing general good quality public services. I am passionate about the people who live in Gateshead. In recent times I have witnessed the erosion of our valuable public services make ends meet, and believe people deserve the very best that can be delivered. I live in the ward with my husband and my son, also next to my immediate family and have done so for the last 16 years. I was first elected to serve the Winlaton and High Spen ward on Gateshead Council in 2004, then further elected in 2012 and 2016.I continue to serve my community and am dedicated and honoured that local people continue to put their trust in me to represent and respect them on the council. I also attend additional seminars, planning meetings, corporate advisory groups, and full council meetings to ensure that the ward is always represented. Locally I support numerous committees in the community, this includes residents groups both in High Spen and Winlaton areas, uniformed organisations and community centre committees. I am a school governor serving two well established reputable local primary schools. Over the course of 20 years I have served on 5 different Primary Schools in the west area of Gateshead, I believe that every child has the right to reach their full potential. I also undertake additional activities / interests related to my councillor duties, which includes regional and national work. I have a personal interest and passion to protect and preserve Local Government services for people. I value the important role of council’s. I believe councils are best placed to deliver high quality public services, which in turn can employ local people and improve lives for residents and their families. I am a long standing member of UNISON. 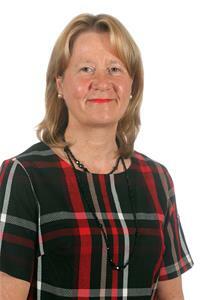 Through my employment I work as a local government officer at Durham County Council as a local authority manager. I have worked across 4 local authorities over the last 25 years. Regionally I formally served as vice-chair to North Pennines, Derwent, Durham, Dales LEADER Programme for DEFRA, this committee distributes grants to stimulate economic development across a large geographical area in the North East. Nationally, I am a UK National Council member for the Association of Public Service Excellence (APSE). This involves attending meetings in Scotland, Northern Ireland, Wales and England. The national body commission, steer and recommend Local Authority advancement. I also hold the position of a national judge for a category on its Annual Local Government Awards, and fulfil the role as Chairperson to the National Advisory Group on School Catering / Facilities Management. This group feeds important information into All Party Parliamentary Groups (APPG’s) that meet in the House of Commons. Annually, I chair a UK wide conference on Schools Catering and Facilities Management for APSE. Recently I have been elected as CO Vice Chairperson for APSE Northern region, which includes all member local authorities between Berwick upon Tweed (borders) and Chester in the North West. My main focus however, will always be supporting people in my local ward.